Harris is also to blame, says wences | Daily Express Online, Sabah, Malaysia. KUALA PENYU: Tan Sri Harris Salleh’s accusation that present and past native leaders are to blame for the community’s misery was rebutted by Tatana Cultural Association President Tan Sri Wences Anggang, who said the former Chief Minister should also accept that he was part of the problem. He said Harris appears to have forgotten that he was the Chief Minister and Tenom assemblyman for nine years. “He should remember what he did to the natives during his time in power,” said Wences. He did not elaborate. Harris had earlier said that native leaders were the reason for their people remaining poor by always telling them that they were privileged due to their native status. 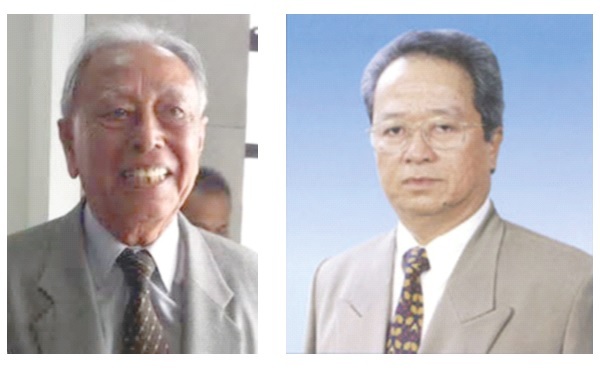 According to the former Parti Berjaya president, Sabah’s natives should face the bitter reality that it was their own political leaders who had used them all along for their own selfish political and personal gain. “The same native political leaders have deserted them and used them (natives) for their self-enrichment. “Why explains why 99 per cent of the rich natives are either politicians or politically-linked,” Harris had said. Harris also said that the Bugis and Jawa, who are migrant communities, are better off despite coming to earn a living in Sabah empty handed and without enjoying any special privileges. Wences, a former Deputy Chief Minister, opined that Chief Minister Datuk Seri Mohd Shafie Apdal actually faced no issue about the Bugis and Jawa or other Indonesian-origin communities in Sabah having their own community leaders as they would not be appointed under the native slot. However, Wences said the State Government had to be careful to avoid causing other communities to feel that their privileges as natives of Sabah are being eroded. He was referring to the proposal by Sabah Law and Native Affairs Minister Datuk Aidi Moktar last week that the State Government would review the Interpretation (Definition of Native) Ordinance in order to consider whether or not the Bugis and Jawa could be considered as natives of Sabah. Aidi received a strong backlash from native political leaders who strongly opposed such move.